This version has been edited and rewritten to modernize Dr. Price's writing, and expanded to include a section on miracles from his autobiography, And Signs Followed, The Story of Charles S. Price. Dr. Price had one of the most miraculous ministries ever seen. So miraculous, in fact, that some of the miracles truly staggered the imagination and stumbled the faith of the uncertain¿because the miracles were so astounding. 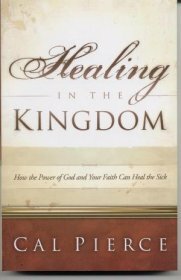 The Lord called Dr. Price into the healing ministry in 1922, so The Real Faith was not written in the early years of ministry, as so many books are today, but was written after nearly twenty years of ministry by a seasoned veteran of numerous battles of faith who could look back over the years with clarity and understanding. The miracles that Christ worked through Dr. Price were great and many, yet the heart of this man who knew Christ so well was constantly troubled by the suffering and disappointment of the many who weren't healed. As the years of ministry grew, Dr. Price continually asked himself, "Why have our prayers so often gone unanswered? Why are our churches filled with the sick and dying who listen to sermons on divine healing that are true to the Word and promises of God, and yet are not healed when they're prayed for?" Finally, in the twilight years of his ministry, Dr. Price found the answer, and wrote this book to tell the answer to all who had eyes with which to read, ears with which to hear, and hearts with which to believe. It's an answer that will set you on the true path of real faith for your healing, as it has thousands of others.